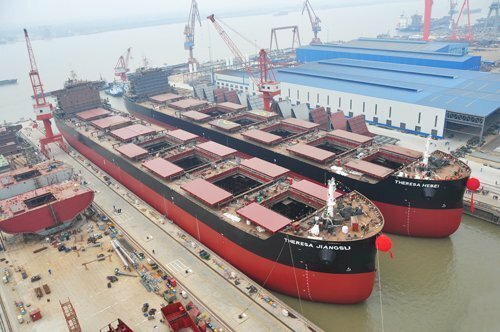 Sainty Marine has announced that Nanjing Huahong Shipping has filed a lawsuit against the company in Wuhan Maritime Court. Sainty Marine purchased three bulkers Hua Hai 601, Hua Hai 602, Hua Hai 605 from Nanjing Huahong Shipping in 2014. The vessels were delivered to Sainty Marine after completion at Hubei Huahai Heavy Industry. The total contract value of the vessels was RMB105m ($16.4m). Huahong Shipping sued Sainty Marine in order to get a payment of RMB34.25m ($5.35m) it has yet received, in accordance with the contract. In September, Sainty Marine pledged the three vessels to Bank of Nanjing to get RMB300m loan. Currently Sainty Marine is still working on a rescue plan for the shipyard, which is expected to be announced on February 6.